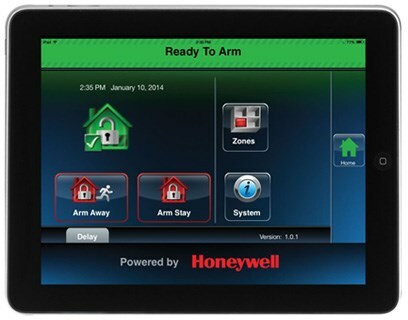 Our revolutionary security, monitoring and automation systems provides total home control. Protect your family and your property from theft, vandalism, and fire with TruVista Security Services. A security system helps you avoid confrontation with burglars if you’re at home and protects your valuables while you’re away. Studies have shown that burglars and vandals prefer to attack vulnerable homes and are more likely to move on when they encounter a home with a security system. With TruVista Security Services, you can dramatically reduce safety and security risks in your home as well as save up to 20% on your homeowners insurance. TruVista Security offers state-of-the-art equipment and installation, along with an affordable 24-Hour monitoring service. Sign up now and take advantage of incredible savings with our special introductory offer! TruVista Security offers two basic types of security systems, wireless and wired. A wireless system is ideal for an existing home, and a wired system is ideal for new construction. Optional add-ons are also available to help you tailor the system you choose to your specific needs. The Wireless Package services up to 16 zones. For additional zones, we offer an Expanded Wireless that services up to 40 zones. For details about our Wireless Package security system and options, please give us a call and we will be glad to assist you. *Plus monthly fee for 24-Hour monitoring service. Purchase of a Wired Package requires a 3-year monitoring contract. Monitoring of an existing security system requires a 3-year contract. A fee will be applied if contract is terminated early. Additional equipment purchased after the initial installation may be billed to your account – along with the standard labor rate. Ask us about having TruVista Security monitor your system. TruVista will give you a FREE site visit to test and reprogram your existing equipment. Note: Most existing alarm systems can be converted to TruVista Security; however, a free site visit is required. How does 24-Hour Monitoring Work? If thieves enter your home, they will immediately set off a loud siren that can both warn you and send them running–before they have time to grab anything. Almost instantly, local police are notified and dispatched to your address. In the event of fire* or smoke, your 24-Hour Security system’s sensors detect the problem and notify firefighter and emergency personnel to assist you. Minutes count when there’s a fire*, and TruVista Security Services can save you thousands of dollars in damage and prevent loss of irreplaceable treasures. *Upgrade Is Required For Fire Protection.